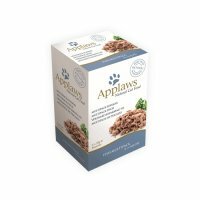 At Applaws, they believe that making healthy pet food is very important. It is all Applaws does and wants to do. Applaws, for example, has been creating healthy and natural cat food for 100 years. 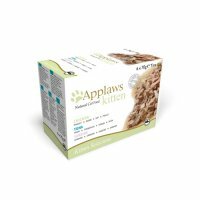 Applaws stands for 100% healthy natural ingredients of the highest quality. No colourings, odours or flavours and free of preservatives. At least 75% of Applaws' wet and dry food consists of fresh fish or fresh meat. As a result, the food is full of important nutrients such as vitamins, minerals, amino acids and omega-3 and 6 fatty acids. 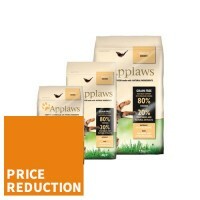 Its natural simplicity is the reason why Applaws cat food is so healthy for your furry friend. Applaws promises to never use cheap and unnecessary ingredients. 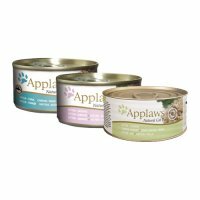 Applaws promises to use only the best meat or fish in cans, jars and pouches. Applaws promises to use only the highest level and quality of animal proteins. Applaws promises to use only 100% natural ingredients. 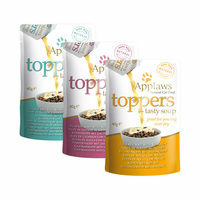 Vetsend has different types of Applaws dry food in its product range. 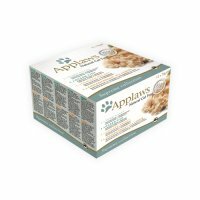 All Applaws dry food is very tasty due to the use of natural ingredients rich in omega-3 and 6 fatty acids. These nutrients contribute to your cat's condition, skin, coat and muscles. 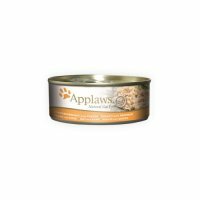 A popular dry food is the Applaws Cat - Adult - Chicken & Salmon. This dry food contributes to the above aspects and also supports the kidneys and liver of your adult cat. It also supports the intestinal flora by adding good bacteria. In addition to dry food, Vetsend also offers a wide range of wet food from Applaws. This wet food is known as a natural food with a lot of protein and free of added nutrients. All Applaws' wet food contains natural fish or beef. These ingredients have a supportive effect on the condition of the skin, coat and muscles. This wet food can also be combined with the dry food from Applaws. A popular wet food from Applaws is the Applaws Cat - Ocean Fish. This wet food is tasty and contains, in addition to the above, a source of taurine. This ingredient supports the condition of the eyes and is beneficial for your cat's heart.